From a Glassmen press release: The Glassmen are very pleased to announce the appointment of Sal Salas as program coordinator for the 2007 summer season. Salas was involved with the Glassmen organization from 1993-2002, initially as the color guard caption head and later served as the program coordinator. 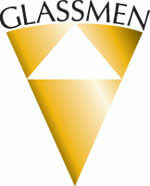 "Sal and I worked together at the Glassmen for over six years and created some very special memories. I look forward to starting the next chapter in our creative relationship," said Glassmen Executive Director Brian Hickman. "It is good to have him home!" Salas most recently served as executive director of the Madison Scouts, receiving Drum Corps Internaitonal director of the year honors in 2005. Read more about Salas on www.glassmen.org.